Remember that awesome Stamping Card Kit with those fun little interactive flaps and that foil?! 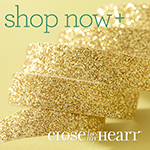 Our "From the Heart" kit will be retiring tomorrow so hurry on over and grab yours today! You can grab the card bases, the exclusive stamp set, or the whole kit. Also leaving us tomorrow is the wonderful $5.00 SOTM stamp sets. These are always my favorite to talk about because they are stamp sets at 70% off!! You honestly cannot beat that. September's stamp set was called "Feel So Blessed" and it features 26(!!) stamps in all. Although we do have really exciting things in store for October don't miss out on all the awesome things that September held. Here are some of my top blog posts for the month. Today I wanted to share some swaps that I have received along with some memorydex cards that I am getting ready to send out. Sit back, grab your java, and enjoy being inspired. Thanks for watching! I hope you enjoyed. Happy Crafting and Happy Weekend. (4x) pages measuring 5.75" x 12"
6.25"x 6" Score @ 0.5" on 6.25"
Side B Was made the same way as side A except we move the flaps and the pockets around. These are basic building blocks to the mini album that might take a moment to learn but will guide you into making beautiful albums in no time! Top Loading Flaps: 5.5" x 5.5" scored on one side @ .5"
Flip up Flap B then Attach Pocket measuring 5.5"x 3"
~ Trim off corners and adhere to matted top flap. All photo mats are cut .25" smaller than base layer. Always remember measure your pages twice, cut your pages once. 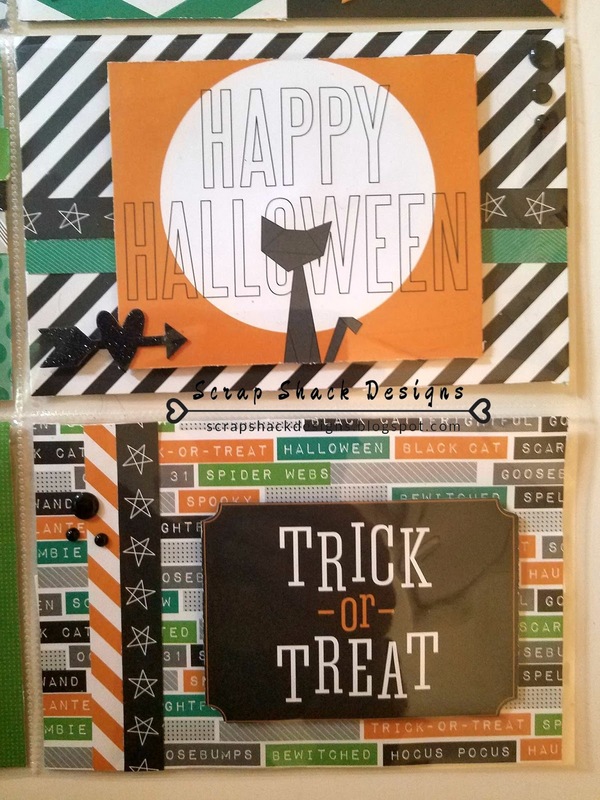 I also cut out the PL cards but you can use pattern paper measuring 3"x 4" of course with the mat being 3.25"x 4.25"
For the cover and spine tutorial you can view the video below :) Happy Crafting! Happy Monday! Today I have a layout that was created using one of the sketches over at Stuck?! 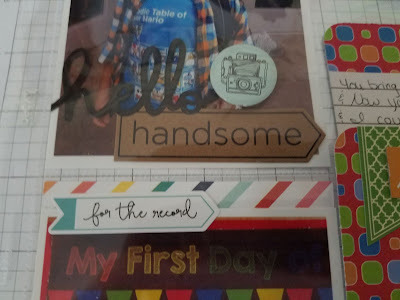 I love playing around in challenges and think that whether you are making a card, scrapbook layout, or even a 3-D item a challenge can be the perfect starting point. This layout was created using paper from The Paper Studios "Little Boys & Their Toys" paper pack. I loved the background design from the sketch and chose that as my main starting point. I then continued with complements from CTMH and enamel dots both products that I love because they are affordable and very versatile. While the layout and photos are about my youngest, the journal was about how his older brother styled his hair that morning. I love this quote and decided to type it up, print it out, and ink the edges. A lot of times people get stuck on what to journal so I like to add quotes or even stories instead of always pointing out the obvious. My main rule of thumb is to keep it simple. Here is the sketch layout that I used for inspiration, of course brought to you by Stuck?! You have until Sept. 29th to head on over there and play along with them. Thanks for tuning in today I hope you were inspired to create something beautiful! It's Thursday which means that Creative Knockouts has a brand new challenge and a brand new sponsor! 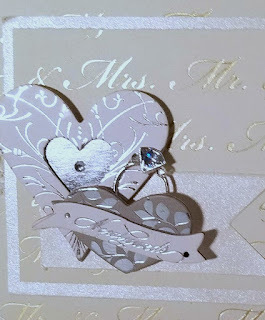 I always get so excited when I get to showcase new challenges and this one was a bit of a challenge for me because it's called A Charmed Life which means that you have to incorporate a charm on your card somewhere. Now this might not be much of a challenge for many of you, but for me it was. I have a cute little box sitting on my desk with a number of beautiful charms in them...yet I don't ever think to put them on a card...so here we are, outside of my comfort zone slightly, but I still managed to come up with a great little card. Isn't it great when you overcome a challenge! 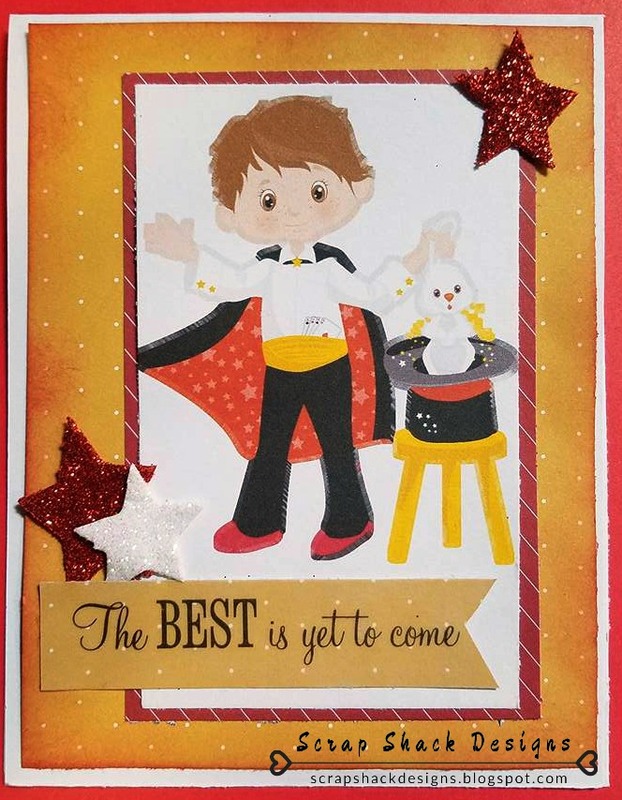 The card was pulled together using a great image from this week's Sponsor, Polkadoodles Crafting. 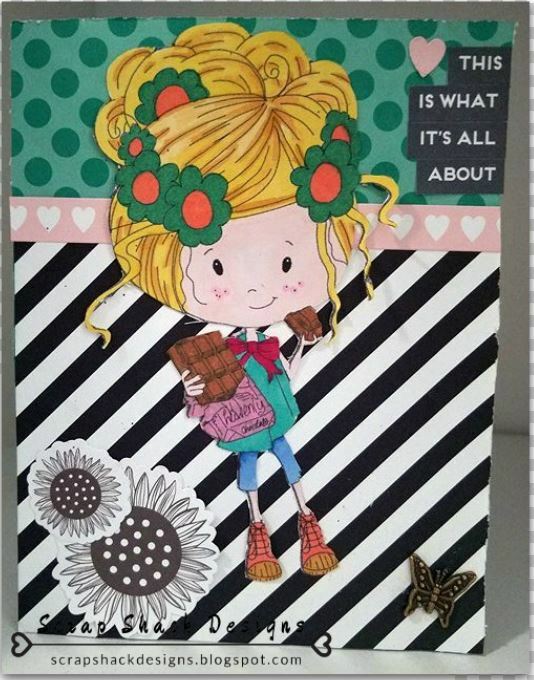 Polkadoodles is a great online store which features stamps, dies, fabric, ribbons, and of course tons of adorable printable's so make sure to head on over and take a look. This specific image is called Winnie-MMM Chocolate. I also decided to use my favorite monthly paper line called "Cats & Bats" from CTMH. This line is meant for Halloween (if you couldn't tell by the name) but it works awesome for so many other occasions. You can check out my coffee and cards workshop found here for more inspiration and of course a video tutorial. 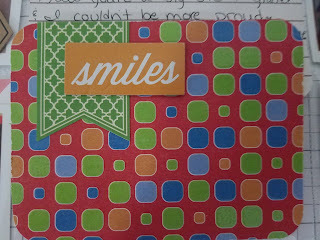 I also pulled out my "Better Together" Complements, also from CTMH. 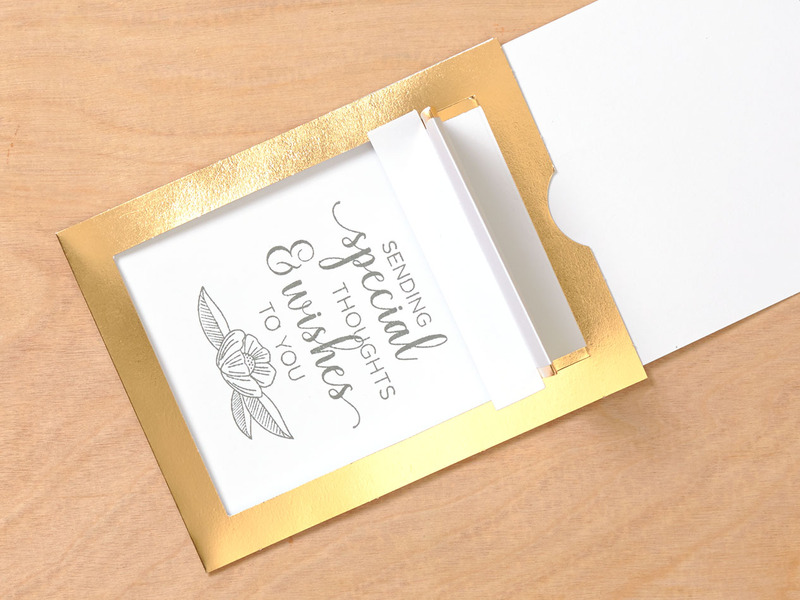 These complements feature really pretty stickers, white chipboard die cuts, and of course lots of shiny silver and foil, you really can't get much better for under $7.00. Now for the Creative Knockout's challenge you will have all week to enter your project using the theme above. One winner will then be chosen at the end of the week and they will receive a voucher for Polkadoodles store where they can pick up some awesome goodies. If you are interested in playing along then come on over and join us on this site. Also keep in mind that I am offering you to shop my CTMH store, this weekend only, using a 22% discount!! Simply contact me at ssdesigns.us@gmail.com with you order and I will handle the rest. Thanks again and Happy Crafting! Today marked the start of a new series here at The Scrap Shack!! I am so excited to bring you the first ever "Coffee & Cards" session where we get together and make some really awesome cards! To keep the first session nice and easy I offered to split the cost of the CTMH "Kind Thoughts" card kit with those of you who are interested. 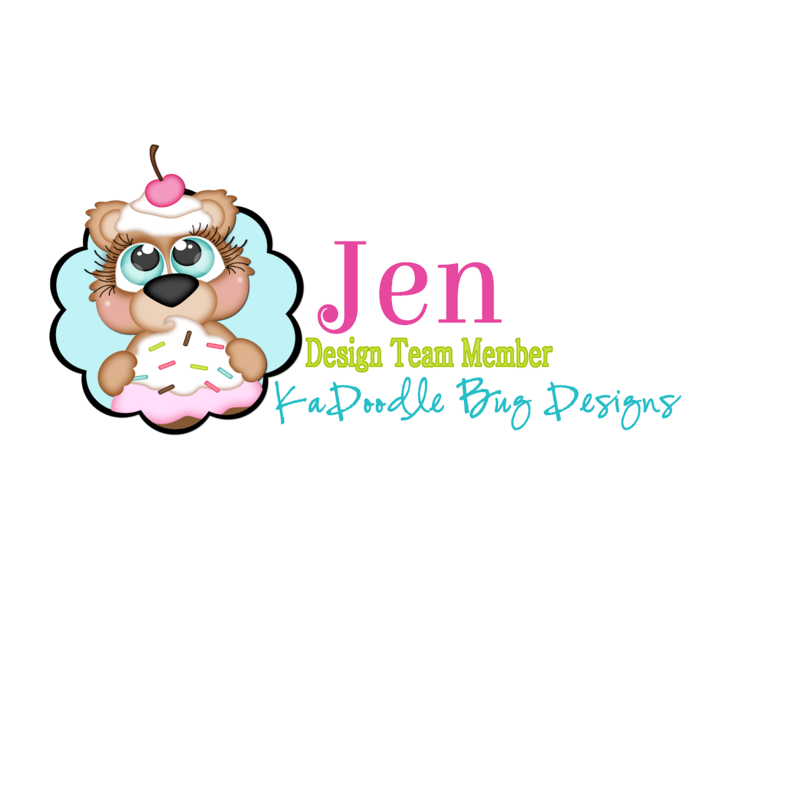 Splitting the cost of the kit means that I will stamp and emboss everything for you, so you don't have to purchase all of those "extras", and then you just do the fun part...Create! Of course purchasing the whole kit does have advantages, like a new stamp set and more cards, so for those who would rather make a ton of cards and get your own stamp set you can purchase the kit from my CTMH site located here. As with any purchase I will email you the instructions after the purchase is complete. Here is what the two cards look like when completed. 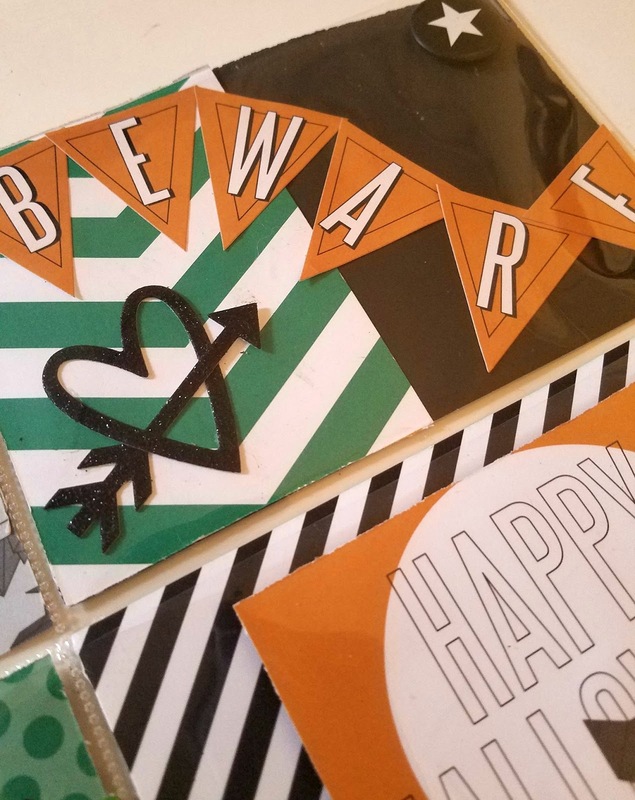 Also make sure to stay tuned because later on this week I will be announcing our Cards & Coffee October session where we will be making two cards from a kit I create!! I am so excited! Thanks for stopping by today! Happy Crafting. This project is also part of a CTMH consultant blog hop where we will all be featuring projects using either the "Falling For You" line or the "Cats & Bats" line both from Close to My Heart. So if you are visiting from Cheryl's blog then you are on the right track. If you get lost along the way then you can always head over to Carol's blog to get the complete line up. 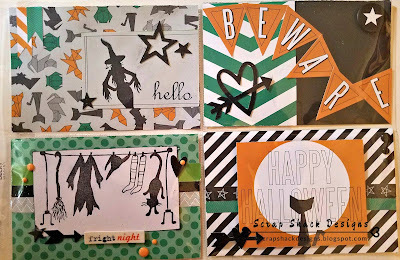 For this project I used the pattern paper from the seasonal CTMH "cats & bats" line that can be found here. I actually ended up purchasing the scrapbooking kit so along with the paper and journal cards I also received black shimmer trim and awesome dots and complements. Everything featured in the above and below pockets came straight from this paper line. 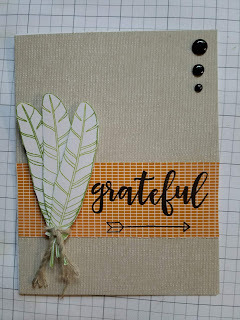 Buying the paper lines in the kit form allows you to get the most product for you money and makes it super easy to put together projects because you have all of the paper as well as all of the embellishments. 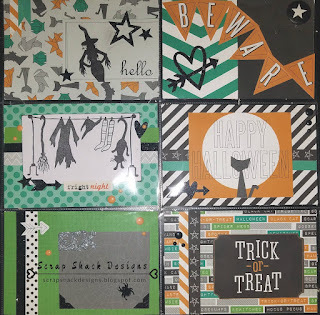 I also decided to pull out some of those fabulous Just For Fun Halloween stamps and add a little bit more to those blank cards. All of the stamps I used came from Just For Fun. 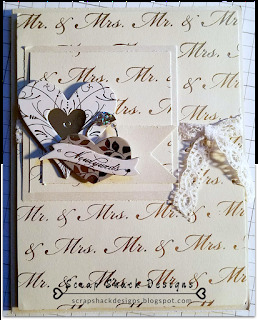 Then of course for the back I simply added the leftover pieces from the scrapbooking kit. I also decided it would be fun to add some of those amazing stamps so I stamped a couple of holiday images onto white cardstock and a couple of ghost stamped images onto vellum. 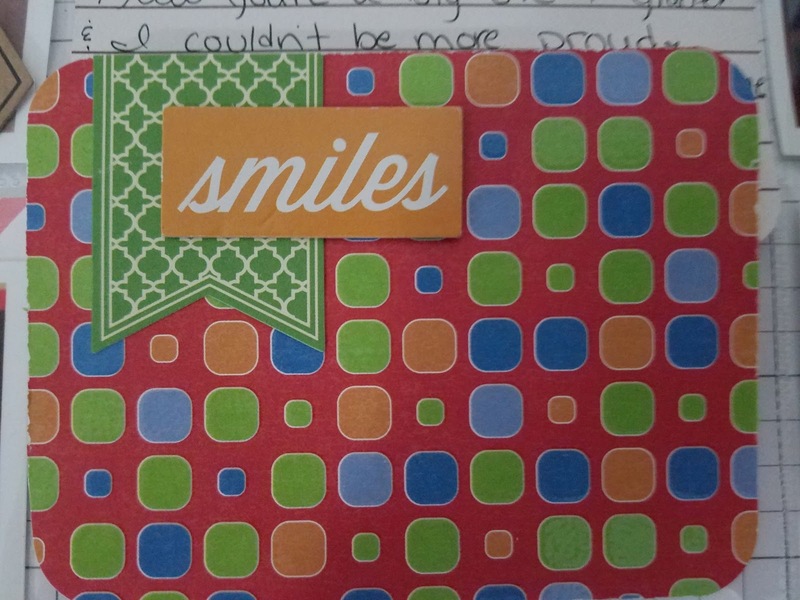 I also had some stickers from the dollar store (bottom pocket) and a journal card in the first pocket to write a little note to my pen pal. Thanks so much for checking out my project today! I hope you were inspired. Please also make sure to jump on over to . Erica Haskin's bog for some more inspiration. This weekend my DH and I are heading out to see two of our college friends tie the knot!! It's so exciting to watch friends get married, especially friends that you have known for years and years. These guys actually ended up dating at the same time that my DH and I did so needless to say we did a lot of "couple" things together. I knew that it was gonna be a great night which in turn called for a great congratulations card, which of course is what I wanted to share with you today. The whole top layered is mounted onto 3-D foam tape to add to the richness of the card, and to help tie that ribbon around. The inside carried that same foiled paper along with some vellum which I printed a verse onto before I adhered it to the foil paper. 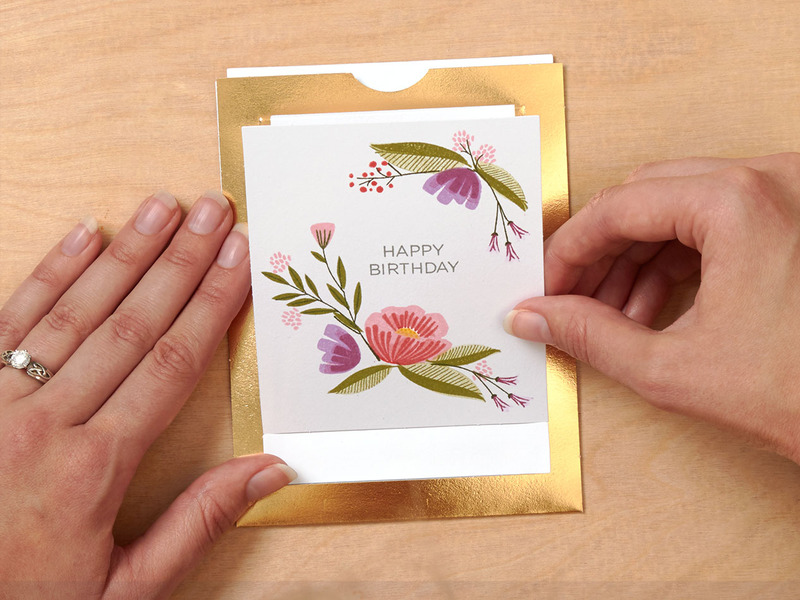 It's so easy to carry your paper to the inside of the card and it adds so much value and weight to the card. I also created a money pocket, because let's face it, it's always nicer to tuck your money away rather than have it flying all over the place. The stickers used for this card were from my stash and actually came from a swap partner a while back. They fit the card nicely because they are foiled and 3-D. The inspiration for this design came from the brand new Paper Play Sketch challenge which can be found here. 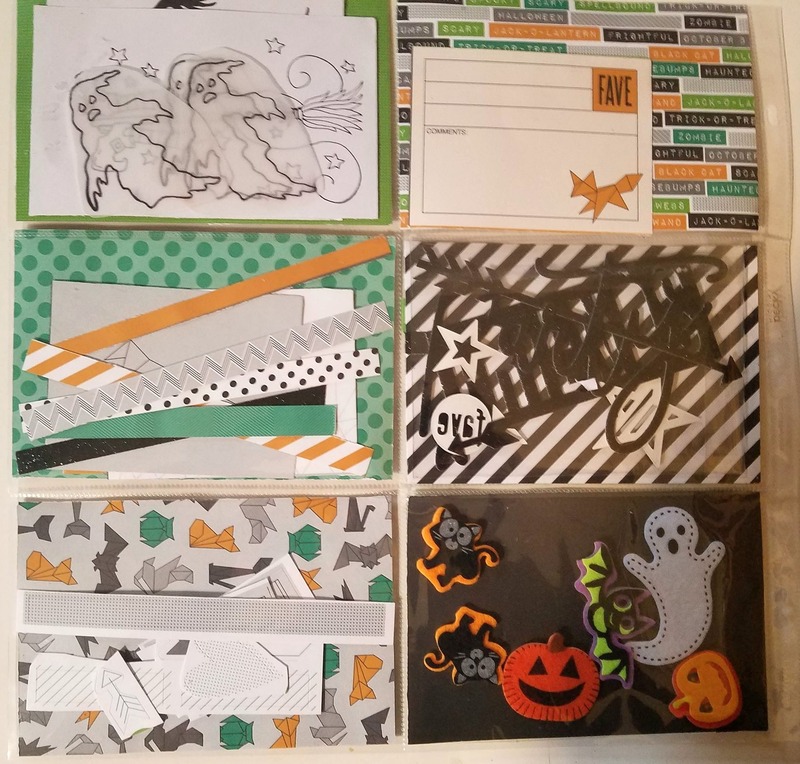 These challenges are an Anything Goes challenge(cards, layouts, Pocket cards for scrapbooking, Pocket Letters, tags, school bulletin boards, etc.,) and run for an entire week. Hi Guys! Today I have a really fun waterfall folio to show you. 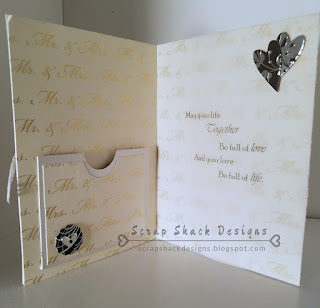 These are really easy and very interactive flip books that are great for keeping photos of smaller events. As I said in the video much of my inspiration comes from Ginger over at My Sister's Scrapper. I followed her main base and then I kind of did my own thing adding flips and flaps where I deemed necessary. Thanks for stopping by today! I hope you were inspired to head out and create something beautiful. If you create this type of album, or anything inspired by me, make sure to come on over to our Facebook group and share your creation. Thanks for stopping by today! I hope that you enjoyed yesterday's card workshop. Remember if you are interested in picking up the kit you can find it here. 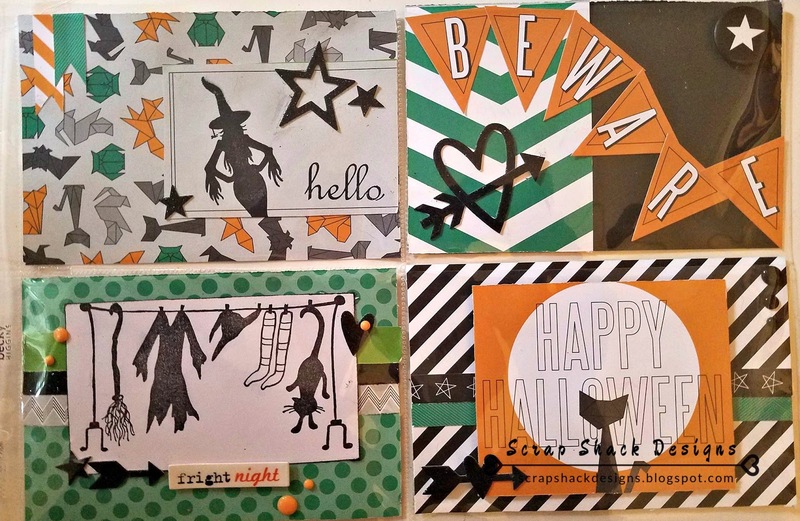 This is a fabulous kit and it makes 12 cards!! The only thing you need to add is adhesive! Moving right on to today's post, as many of you know My oldest son started 1st grade this year!! I know it's super crazy to think that he's already in 1st grade. Anyway since we just started I figured that I would get out my pocket scrapbooking templates and make a quick "First day of school" spread. Since I did not have a lot of school related embellishments I really had to improvise on this layout. All of the cards are made using some pattern paper that I had on hand. This is a really easy technique and uses up supplies that most of us already have on hand. To turn paper into cards simply measure out the size of your card, in this case I was using my 3" x 4" pockets so I cut the paper down to that size, then I simply took my corner rounder and rounded each corner. Some of the paper I used was thick and didn't need to be backed but that bottom paper was very thin so I simply layered it onto some solid card stock. Most of the embellishments I used came from CTMH complements. I love these packages because they are super affordable and include various material - like chipboard, stickers, and even some foil accents. I apologize for the extremely poor lighting on these photos and hope that you can still see the designs and layouts. Thanks for stopping by today! I hope you enjoyed and were inspired. 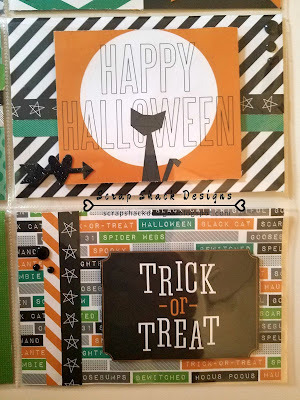 I recently created this beautiful, fun, Halloween, mini flip book and I had a lot of questions as to how I made the base of it. Well since I do most of my crafting at nap time I decided to shoot a quick video showing off the bare bones of the album. 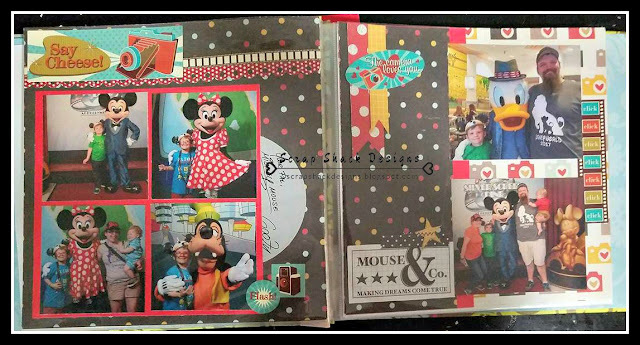 This is a great beginners video which will give you step by step directions and instruction that will lead to many more mini album designs. 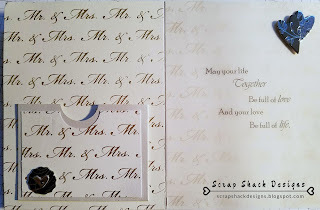 Please note that I did not add pattern paper to my design in the video so you will have to pause the video and add your pattern paper before adding the flips and flaps. I hope you enjoyed that video. 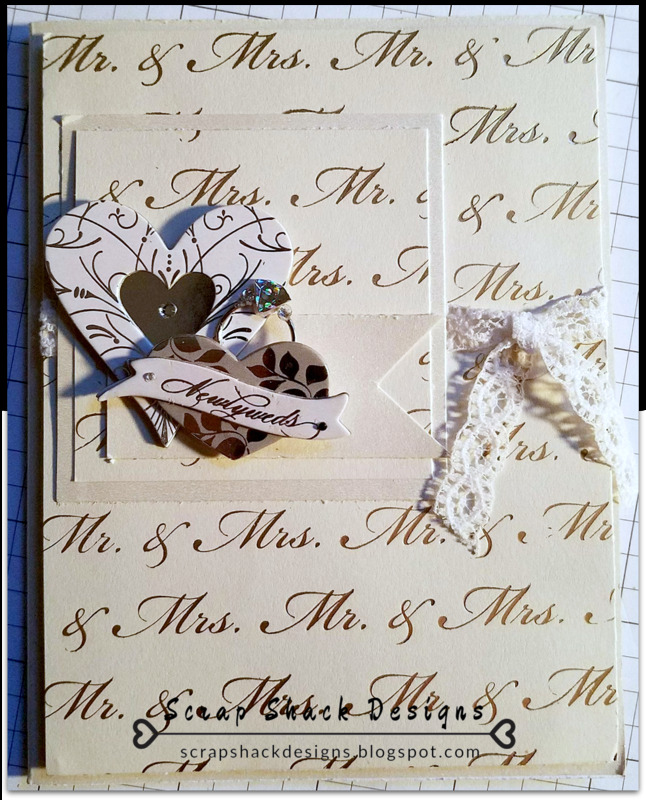 Again the flips and flaps are made the same for all mini albums so once you complete a couple of them you should feel confident to head off and start designing and practicing on your own. 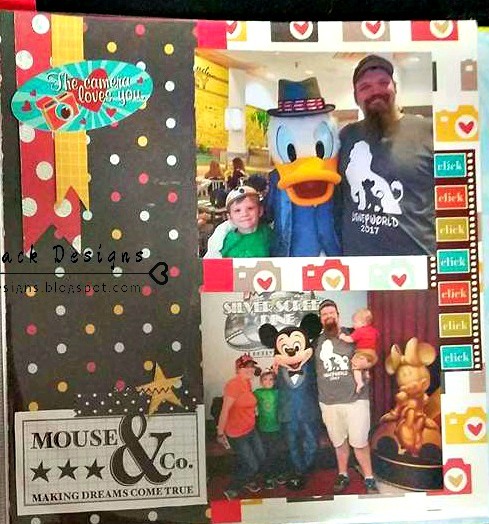 Of course Pinterest and YouTube are still my number one source for inspiration so if you are looking for more mini albums to mimic please jump on over to my YouTube page found here or my Pinterest page found here. Also make sure to head on over to our VIP group and sign up for our weekend long online stamping crop coming up on September 22nd. These are always really fun events and are free and open to everyone. Hi Guys! I am back with another Disney layout and today it just happens to be a double page layout. 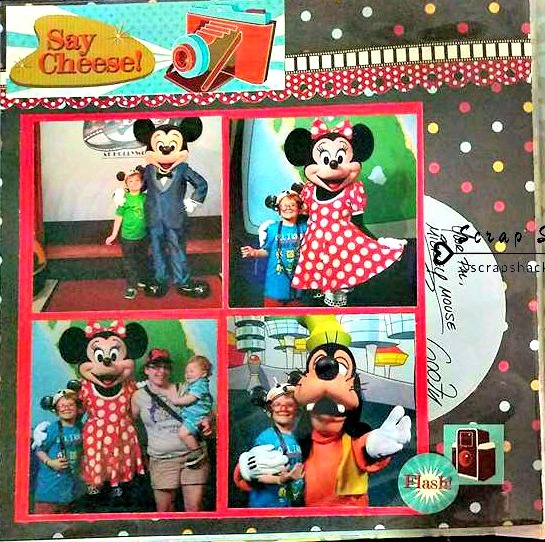 Now if you missed this post then it might be new to you that I happen to be working on a 8"x 8" Disney album from my family's trip this past Spring. This has been a bit of a challenge because 8"x 8" layouts require a little bit more creativeness, which of course I welcome. This album uses the Simple Stories "Say Cheese" line as well as some accessories and extras that I have been collecting. Since the album is not a normal size the photos have been adjusted to fit the sketch layouts that inspired these two pages. I used one of CTMH's "How To" books which made designing these pages super simple. You can find all of our "How To" books here. 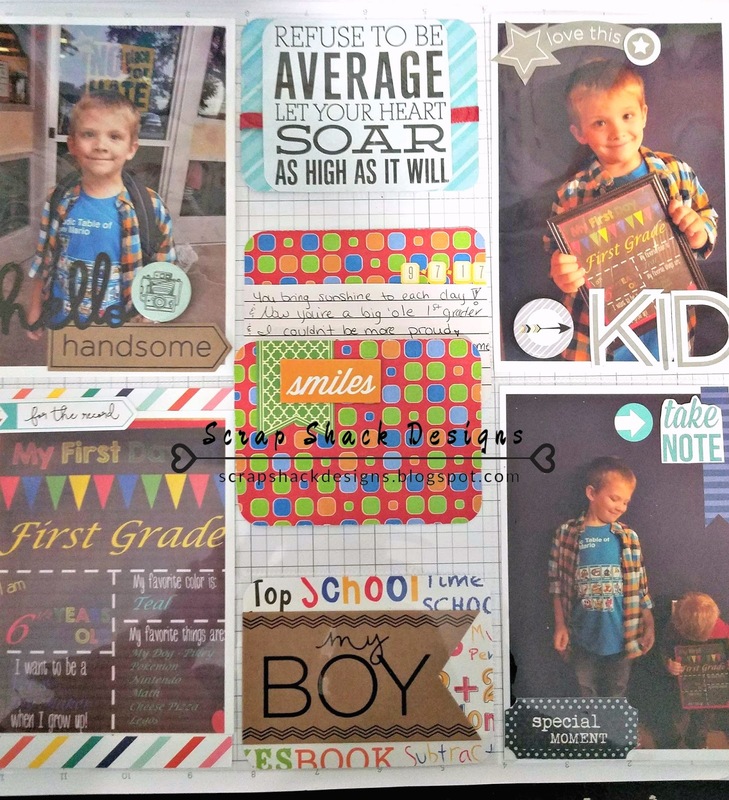 These books are very affordable and offer a ton of inspiration and layout designs for both scrapbooks and cards. Sometimes we can get behind on scrapbooking our memories because we just do not have any clue where or how to start, well these books solve that problem letting you do the fun part - embellishing. Here are the two pages up close. I hope you enjoyed my layouts today and were inspired to head out and create something amazing. Thanks for stopping in and Happy Crafting! Welcome! 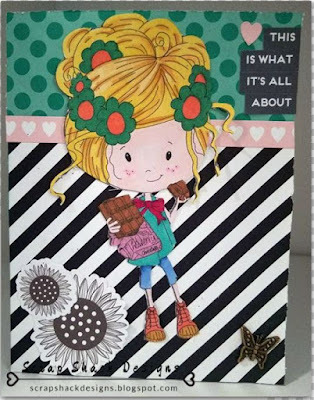 Today is Thursday which means that it's a brand new challenge over at Creative Knockouts and this week our challenge is "Something to Say" which means that you have to include a sentiment somewhere on your card. As always we have a fabulous sponsor, AMB Illustrations, who is generously giving away 3 single packs to one lucky winner! AMB offers a whole line of digital paper crafting supplies including combo packs, paper packs, and of course stamps and clip art, making it hard to choose just one, however this week I have decided to play with the really fun Magician Boy. Even though I have boys my cards often tend to be geared more towards girls, so it's fun to make a boy card every once in a while. 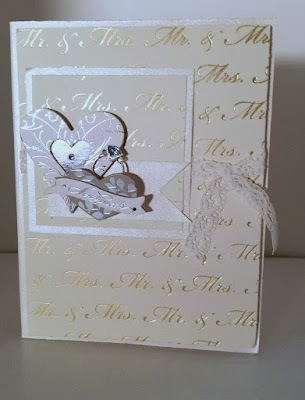 With this card I used the Enchantment Fundamentals cardstock from CTMH which paired nicely with that pre-colored image. I also decided to grab some things from my stash including those glitter stars (left over from the 4th) and a vellum sticker sentiment which I layered onto some scrap cardstock. 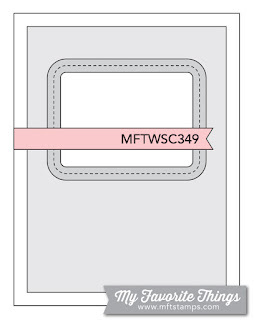 The overall card design came from MFT's brand new sketch challenge which started on Wed. I printed my image before I found the sketch so my image was a little longer than I wanted, but all in all it works. Make sure to come on over to Creative Knockouts and play along with us. The challenge will run for an entire week. Also remember if you order from my CTMH store and it's $25 or more you will be entered to win the Hostess Credits and you will also receive a prize package from me. Thanks for stopping in today and Happy Crafting! Have you had the chance to see our brand new promotional card kit "From The Heart" yet? 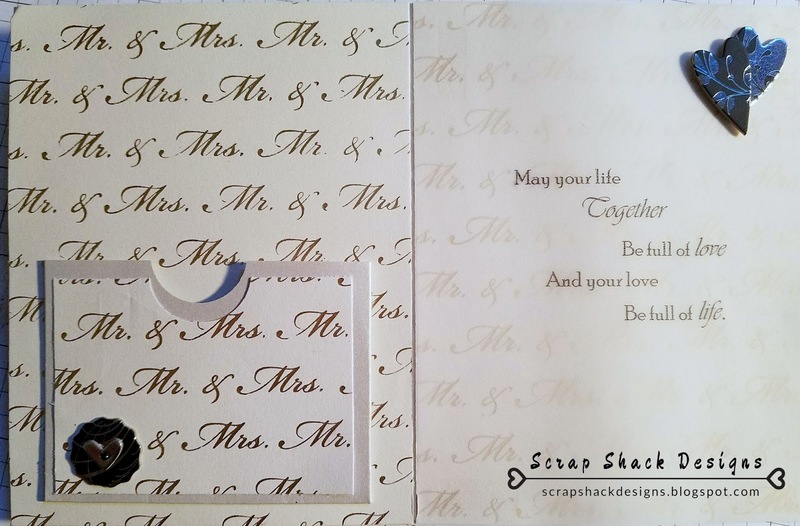 These really cute interactive cards are perfect for those special moments that we want to celebrate. Here's what they look like once you build them. Cute Right?! 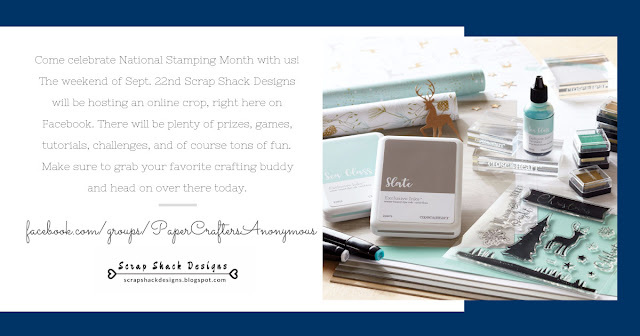 September is National Stamping Month, and we’ve designed this incredible card kit with elegant, layered stamping to celebrate! 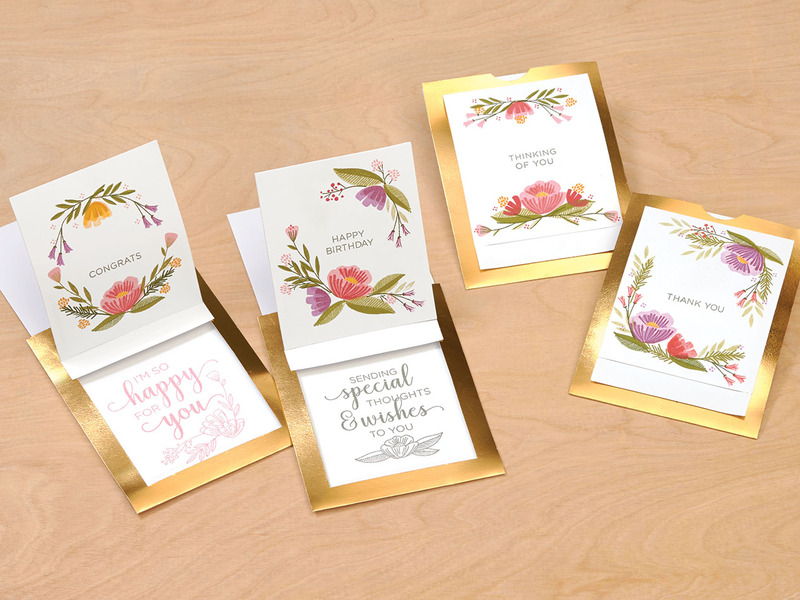 If you love stamping, you’ll love all the ways you can play with the interchangeable stamp designs to achieve a variety of looks for your cards. Also no worries if the thought of creating cards like these feels a bit daunting. The kit comes with helpful instructions to walk you through the assembly—just take a look! Here are the pieces you get in your kit. You get enough to create 12 cards, plus the beautiful From the Heart stamp set and 12 envelopes. Once you punch out these pieces, follow the instructions below to create your cards. All the folds come pre-scored, so all you have to do is fold along the score lines. 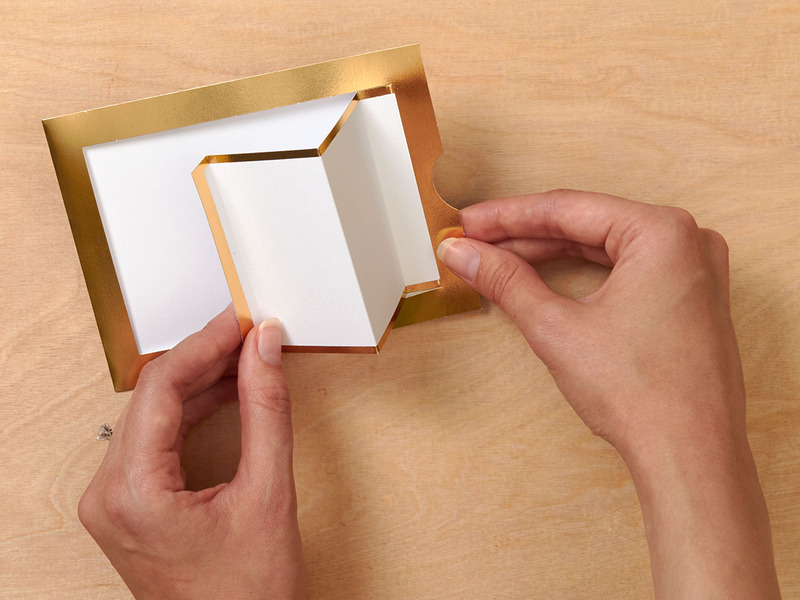 Starting with your card base (A), turn the gold foil side down and sharply fold the two outside flaps inward. Add adhesive to the top of these flaps. 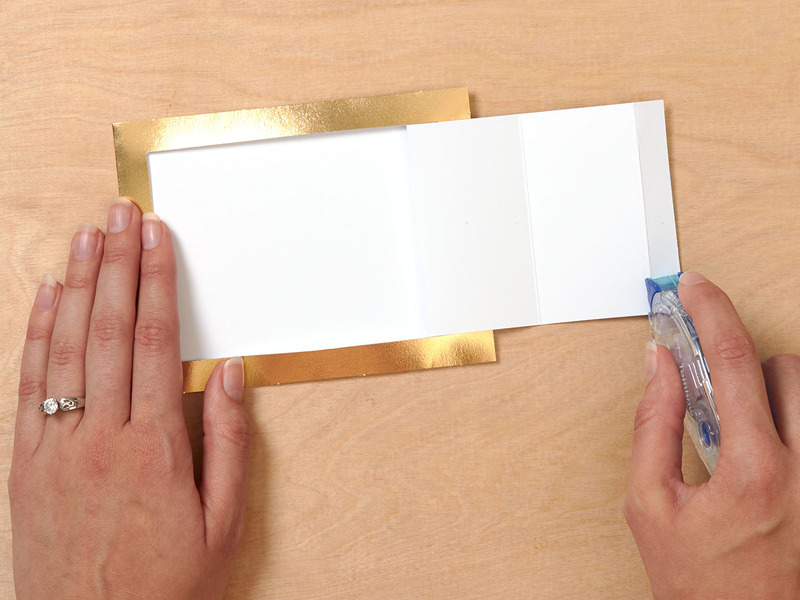 Fold your card base in half along the score line, attaching the front of the card base to the top of the flaps. This will form a pocket. Starting with the detached end of the large flap, make sharp folds along the score lines, accordion style, as shown. Add adhesive to the bottom of first fold (the white side). Insert the pull insert (B) into the pocket in your card base (A), keeping B centered. Attach that first fold from step 5 to the edge of the pull insert, keeping the edges flush. Now when you pull on the insert piece in and out, the large flap should pop up and down! 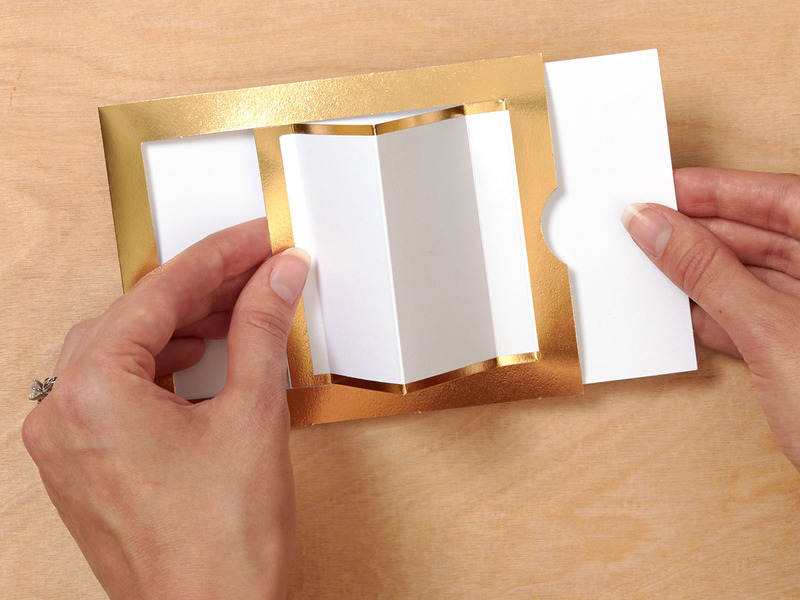 Slide your card closed and then add adhesive to top of first fold (over gold foil). Attach supporting piece (D) to the top of first fold. 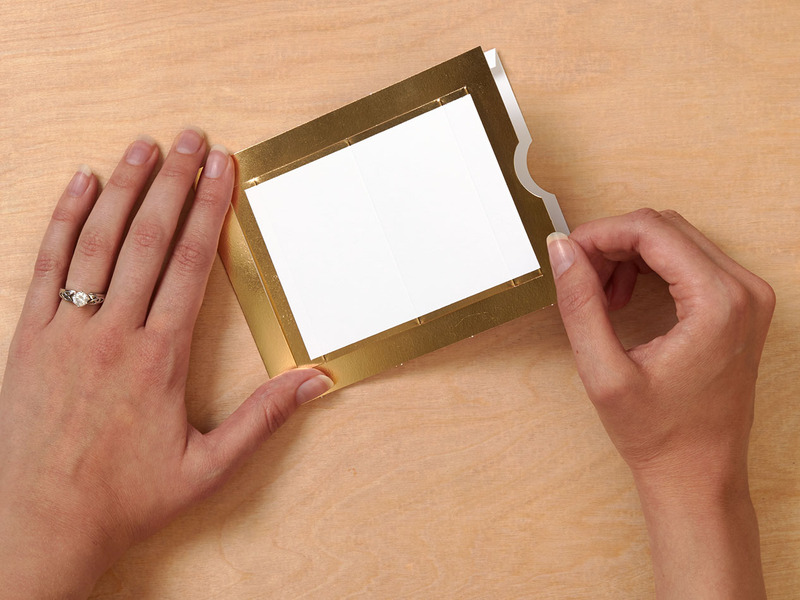 This supporting piece is a little bit larger than the area where you added the adhesive, so keep the top edge flush with the crease and center it on the flap. 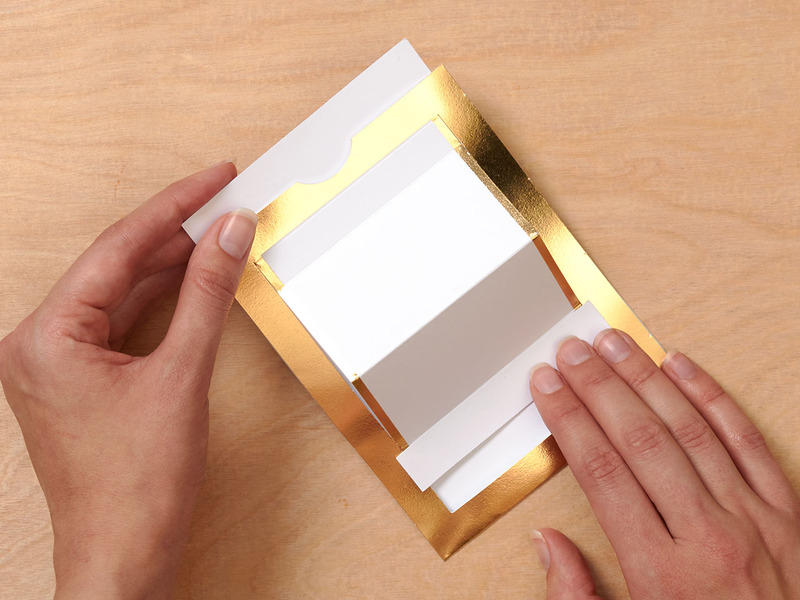 When it’s in place, the edges of the supporting piece should overlap the gold foil around the edges of your card. 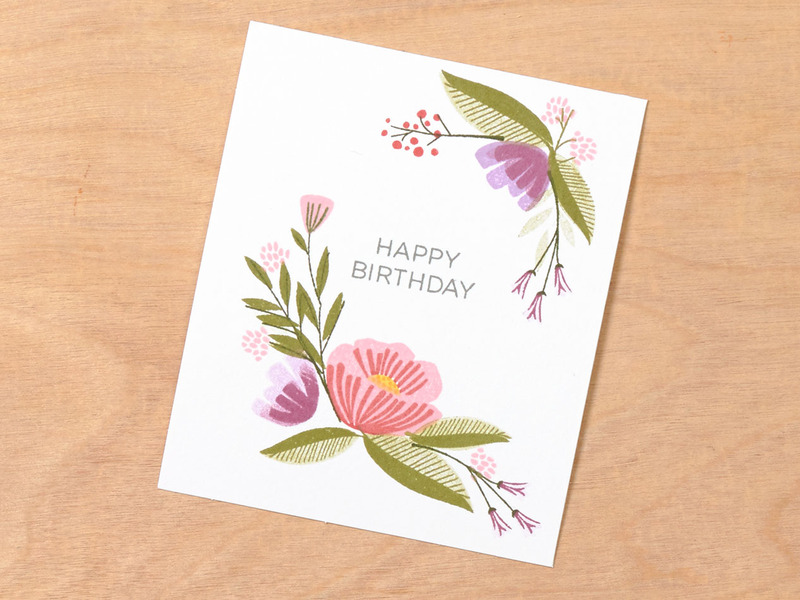 Stamp your choice of sentiment and flowers onto your card front (C). When stamping the layers of your flowers, add extra depth by using different colors for each layer. Stamp leaves and twigs in between flowers. Again, add depth by stamping all of the layers in different colors. This stamp set allows you to get incredible detail in your stamp images for a beautiful finished card. Set aside your card front and go back to the base for a moment. 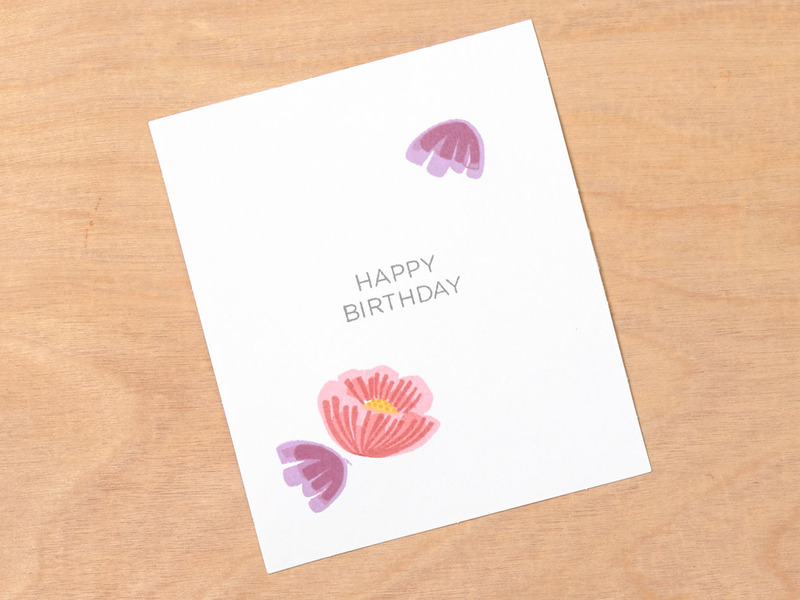 Slide your card open, and then stamp your choice of inside sentiment onto the card base. The From the Heart stamp set includes four large sentiments designed especially to fit this space. 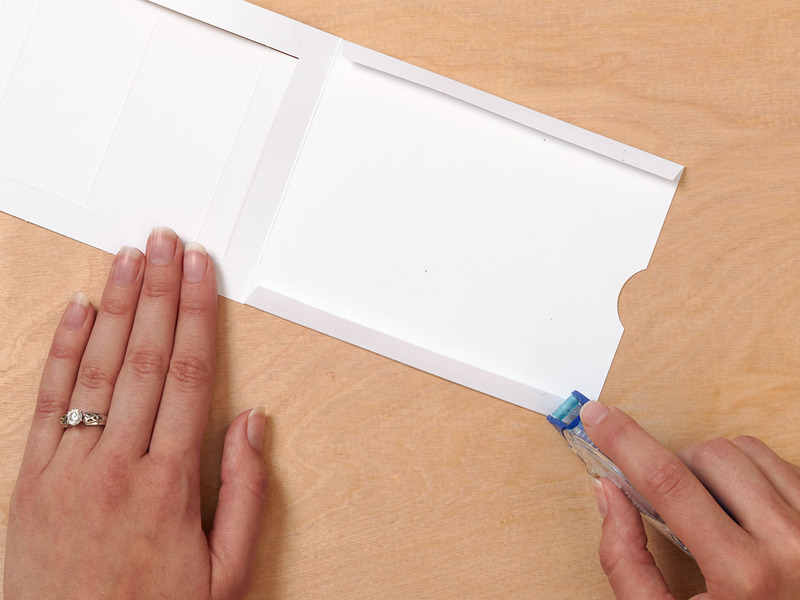 Once your stamping is dry, slide the card closed and add adhesive to second fold of large flap. This is the section right next to the supporting strip (D) that you attached, and it is where you will attach your card front. 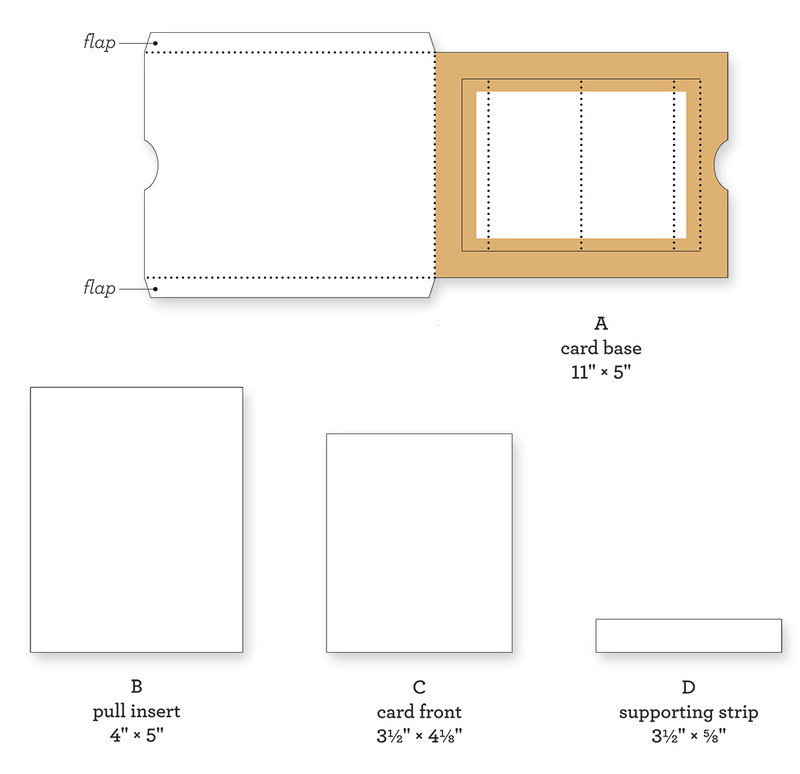 Attach your card front (C) to the second fold, lining up the edges with the supporting strip (D). 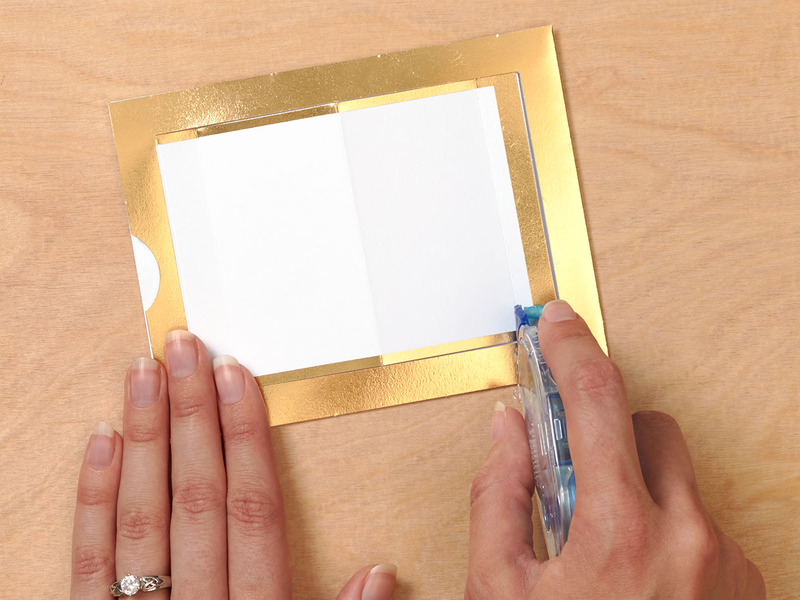 Make your own beautiful, interactive cards using this card kit, available only during September! If you have any questions about how to assemble these cards or about the card kit itself, feel free to reach out to me.